In some cases, you might have your load all ready to go on a flatbed, trailer, container, or specialty pod. All you need is the power to get it where it needs to go! Power-only trucking is more common than you might think. It’s used in a variety of industries for a variety of products and materials. Did you know these things about power-only trucking? If you already own the container or flatbed, you’re only paying for the power! This may be something to consider if you regularly require long-haul trips. It might be more economical to invest in your own trailer to save money over the long term. When you hire the truck, you hire the driver—saving you the hassle of finding someone yourself. 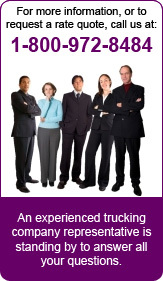 Your power-only trucking driver is a well-trained professional. He or she has experience hauling a wide variety of regular and oversize loads over long distances in a variety of weather conditions. You can rest assured your load is in good hands. All sorts of products, materials, and equipment need to be transported—even yours! There’s no such thing as an unusual request for power-only trucking. Containers and trailers are loaded with medical equipment, set materials and decor for the entertainment industry, machinery, construction materials, and so much more. We’ve worked with government organizations, individuals, and businesses of all kinds. Owning your own truck can come with a lot of headaches. You never know when something might break down and delay your shipment. Repairs can be expensive. With power-only trucking, you manage the container, but the truck is taken care of. The vehicles are carefully maintained to prevent any unexpected breakdown—and if that worst-case scenario does occur, it is handled quickly and efficiently with no cost to you. You have control over when and how you load your own trailer or container. Whether you need a one-way or round trip haul, just let us know and we’ll get it where it needs to go across the United States and Canada. 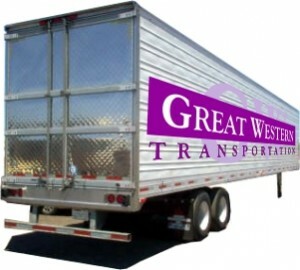 We’re committed to offering safe, reliable, cost-efficient transportation for loads of any size.